St. Mary’s is an expanding primary school soon to be full two-form entry. The population is richly culturally diverse with 34 languages spoken across the school. The school has been recognised by the Department for Education in two consecutive years for its work to promote achievement for those pupils supported by the pupil premium. Since the last inspection there have been significant personnel changes including senior leaders and the leader for religious education and collective worship. The deeply embedded Christian values, ‘the Sunshine Six’, are encountered in every aspect of the school’s life and are rooted and understood by stakeholders in the context of stories from the Bible. Pupil outcomes are highly positive for all pupil groups with excellent support for vulnerable learners as a result of a considered and compassionate use of resources to promote opportunity for all. Pupils play an active part in collective worship that is inspiring and creative and overflows into the daily life of the school. The inspirational leadership of the headteacher grows leaders who are passionate about the Christian character of the school and work hard to ensure that it radiates throughout the community. Strengthen the contribution that Religious Education makes to the cultural development of the pupils so that it reflects and celebrates the rich diversity of faith and culture in the school community. Build on the monitoring and evaluation activities of the Governing Body so that governors take a stronger lead in driving and shaping the Christian character and vision of the school. The school’s Christian intention for all children to flourish as individuals, valuing them as children of God whatever their backgrounds, is strongly proclaimed in all aspects of the school’s work including the welcome given to those who may have previously encountered struggle or rejection in other settings. The explicitly Christian values, ‘the Sunshine Six’, are owned and understood by all adults and children and are effective in ensuring that the light of Jesus shines out in the life of the school. They shine brightly in the school environment, in the behaviour and attitudes of pupils and in the web of relationships in this growing school that are respectful, compassionate and encouraging. These values are explicitly borne out in achievement data that shows an upward trend in many areas in the last four years and impressive outcomes at the end of Key Stage 2 in 2016 that were well above the national picture. In Early Years Foundation Stage and Key Stage 1, outcomes were in line with the national average. Vulnerable groups, including those supported by the Pupil Premium, achieve well because of the well planned and resourced support for them. Attendance is above the national average and exclusion rates are very low, demonstrating the determination of school leaders to value everyone and promote equal opportunities for all. Spiritual Moral Social Cultural (SMSC) development is underpinned by a clearly understood and continually developing understanding of spirituality in the school. Many pupils engage thoughtfully with a plethora of creative, tactile opportunities to be contemplative in the school environment, both indoors and out. These include a prayer tree with pipe-cleaners, finger painting and an attractive sensory garden with beautiful ‘spiritual words’ stones painted by the pupils. The appreciation and creation of art is explicitly offered as a way of listening to and responding to God and thought provoking questions such as ‘why do some people turn to God?’ encourage and enable pupils to ponder and wonder and search for answers. The diverse international school family is seen as a great blessing to parents and their children, as well as to school staff, and enables pupils to have a strong understanding of diversity. They recognise that ‘different is good – we all belong to God’. Pupils are respectful of, and deeply interested in, each other’s religious and cultural backgrounds and the school fosters this through its curriculum, ‘One world week’ and ‘Faith days’. Relationships across the school are nurturing and compassionate and, as a result, the behaviour of pupils is overwhelmingly positive. They are well supported to repair breakdowns in friendships. Parents and pupils say that bullying is very rare but always quickly and sensitively dealt with by staff. A school leader for example asks a pupil to, ‘tell me a little bit about what went wrong today?’ The behaviour policy is explicitly linked to Christian values and these underpin the day to day managing of behaviour. Parents really welcome that these influence ‘who the children are, but also who they are becoming’. Further, relationships between staff are supportive and encouraging. There is a strong team spirit and staff feel well cared for by leaders in challenging times. The staff attribute their experience directly to the Christian character of the school and in particular to the part that leaders play in ensuring everyone encounters this. The teaching of Christianity is well developed and prominent in pupils’ books and pupils have a very good knowledge and understanding of the biblical narrative and Christian celebrations. Lessons are collaborative and thoughtful, enabling pupils to consider challenging questions such as ‘what is the most important rule?’, to respect alternative opinions and also to have moments of spiritual encounter and stillness. The introduction of Understanding Christianity is at an early stage of implementation in consultation with Church of England, Birmingham. RE could make a more robust contribution to deepening the pupil’s understanding and appreciation of other world faiths and views including those represented in the community. Older pupils particularly identified that they would like to have more opportunity to explore similarities and differences in faith and belief. Collective worship is central to the school’s life and work. It is inspiring and creative and overflows into the daily life of the school. Therefore it is highly valued by all members of the school community who recognise the contribution worship plays in embedding the Christian values of the school and setting them in a biblical context. Collective worship is identified by parents as being ‘from the heart, not a ritual, and giving children the opportunity to choose what they want to do because of what Jesus said’. Similarly, pupils link the positive way they behave towards each other to the Christian teaching and values that they encounter in their daily worship. Families from traditions other than Christianity feel included and valued in the programme of worship the school offers. Worship follows an Anglican pattern with pupils leading and confidently making a significant contribution to worship for example by reading opening sentences, words for sending out and scripture readings. A worship table displays Christian symbols and liturgical colours and pupils have a deep understanding of their significance. The school has taken a very thoughtful approach to overcoming the lack of a hall big enough to accommodate the whole school community as it grows. Dividing the school into two mixed age groups, pupils participate in worship in the hall and their classroom alternately with a strong cohesion in the pattern of worship in each. The use of classrooms gives pupils opportunity to respond thoughtfully to worship in creative and interactive ways in a more intimate setting. Throughout the day pupils are drawn to the many opportunities in the school environment to explore thoughts and ideas raised in worship including in stillness and silence, in words or purposeful actions. Parents are included in the school’s prayer life, meeting in school each week to pray for the requests made in the prayer box. A further over-spilling of worship is expressed in the school’s many acts for social justice such as supporting the local food bank and hospice. Pupils’ deep understanding of the Christian narrative evidences the strong place that the life and teaching of Jesus Christ has in the worshipping life of the school. Words in a poem about Pentecost by pupils in year 6 are an illustration of this. ‘Faith grew; wind blew. Christianity rises.’ The worship programme is enhanced by regular contributions by the incumbent and visitors from local churches and the Church of England, Birmingham. With support, pupils lead services in church each half term to celebrate Christian festivals. Pupils are developing theological understanding of the Holy Trinity through liturgy but also through teaching that makes this mystery of faith accessible. Pupils confidently talk about the Trinity referring to the three leaves of a shamrock or the inseparable layers of a jaffa cake! The involvement of pupils in planning, leading and evaluating worship by the worship council is well developed. Pupils contribute routinely to offer prayers and to record their response to worship. They readily join in dramatic interpretations of bible stories. Pupils sing relevant songs with enthusiasm, creating an uplifting sense of praise. The worship council are supported to identify aspects of worship that have been particularly impactful. They critique the beautiful class worship logs and feed back to teachers on how they can be improved! The headteacher, supported by the deputy head, has prioritised the Christian character of the school since his appointment. Together, leaders and governors have enabled it to flourish so that it impacts tangibly on all members of the school community. The Governing Body understands the school’s effectiveness well because of a varied programme of monitoring activities, though the drive for improvement is mainly from senior leaders. The Christian vision and values have been shaped and continue to be evaluated through wide, purposeful consultation including pupils. As a result, the Christian values, ‘the Sunshine Six’ are treasured and protected by everyone and lived out at all levels. Pupils relate their behaviour and attitudes to these values; adults relate the supportive working ethos to them and to the biblical teaching that underpins them. School leaders have secured significant improvement in achievement for all groups through a compassionate stewardship of resources and a tenacious, aspirational vision for all pupils whatever their background. The outstanding distinctiveness of the school has been sustained and enriched as leaders have acted on their evaluations, including addressing the areas of improvement from the last inspection. 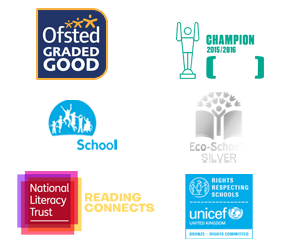 The rich, thoughtful curriculum enables pupils to understand and respect themselves and their world, celebrating the diversity of this international community. Pupils question and wonder about themselves and their world, and consider Christian and other perspectives. As a result pupils’ spiritual, moral, social and cultural development is excellent. The new leader of RE and collective worship has a good understanding of the strengths in these areas and those which can be developed. Effective training and support from the Church of England Birmingham has impacted on many recent and on-going developments. Partnerships with the community, the parish church and other local churches and also with parents greatly enrich all aspects of the school’s distinctiveness and theological awareness. The incumbent supports pupils and staff to develop understanding of theological concepts such as the Holy Trinity. As the school expands, school leaders strategically grow their own leaders and equip them to serve in other church schools. All staff receive training relating to the school’s Christian character and this is prominent in recruitment and induction. The school shares its practice with other schools within the diocese. Highly effective leadership and management have created an outstanding church school from which Christian values radiate like very bright rays of sunshine into its community.